Steve Spott: Are We Setting Reasonable Expectations for Our Players? From a hockey coach’s perspective, setting reasonable expectations is, well, a reasonable responsibility. That’s because we have the benefit of comparison. To set expectations for one player in any given season, we compare him or her to peers – other players trying to make the team, other players competing for ice time, and other players who share commonalities in skill and style. But for those players, the perspective couldn’t be more different. Most players have an expectation to be the best. The best at what, they might not always know, but for athletes who pull on a hockey jersey hell-bent on consistent improvement, in their minds they’re going to outshine their competitors and their teammates. And that can be dangerous. 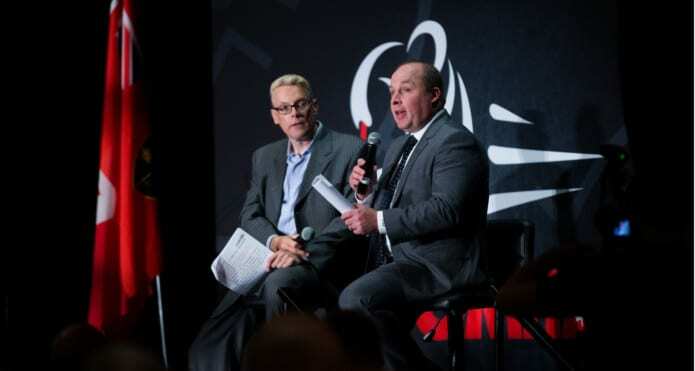 That’s Steve Spott in an interview during the Ontario Minor Hockey Association’s Annual General Meeting we had the pleasure of attending last June. Spott is an assistant coach with the San Jose Sharks, a team that we can all probably agree faces some fairly lofty expectations. The thing about that is there’s no replacement for intrinsic drive. However, honesty is a valuable tool in the development of a hockey player as well. It’s the coach’s responsibility to deliver that honesty. If a player has unrealistic expectations of themselves, then disappointment is inevitable. That’s not to say that disappointment isn’t part of the game, but multiple let-downs of the severe variety could do long-term damage to a player’s confidence and take them out of the game entirely. So let’s keep our players operating at an even keel this winter. It’s ok if you’re not the best even if you’re trying to be the best. Especially if you have a coach who’s supporting you every step of the way.